The Ad Hoc Committee met while Parliament was in recess to commence the process of identifying suitable candidates for the filling of vacancies in the Commission for Gender Equality as the entire process had to be completed before the fifth Parliament rose. Some of the Committee Members had been on the previous Ad Hoc Committee to appoint Gender Equality Commissioners in 2017 and were able to give advice as to how to ensure a smooth process. The Chairperson explained that all applications would be checked to the extent that the State Security Service would screen the fingerprints of all candidates and the parliamentary Human Resources Unit would verify all qualifications submitted with the curriculum vitae. The Chairperson noted that the screening of fingerprints might delay the shortlisting process as applicants had only been requested to submit their fingerprints via post or courier services in mid-January 2019. The issue of late applications was addressed. Three applications had arrived late, but one had been posted and one couriered before the due date. The third application had been delayed by an electricity outage. All applications had been accepted. One applicant had withdrawn, leaving the Committee with a total of 88 applications to evaluate and shortlist. 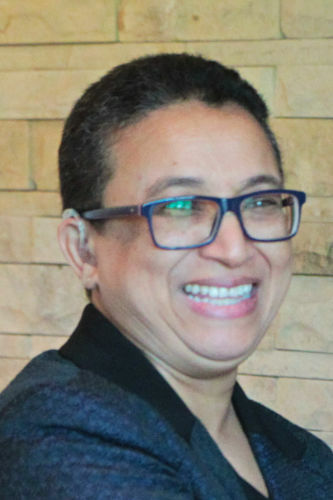 Another dispute, described by the legal advisor, was that the term of office of the former Chairperson of the Commission had expired on 31 December 2018 but her original, incorrect and later corrected, letter of appointment had stated that her term ended on 31 March 2019. She had written to both the President and the Public Protector in an attempt to stay in office until 31 March 2019. The Chairperson welcomed everyone back and wished everyone well in the forthcoming processes. She hoped that everyone would be redeployed by their parties and that they would come back to Parliament because everyone had been doing great work and she looked forward to continuing her association with them. She thanked everyone for attending the meeting, even though it was during recess, as the Committee had work to do before Parliament rose. Arrangements were made regarding flights and interpreters. The Chairperson noted that in the media some of the members of the Commission for Gender Equity (CGE) had stated that their terms of office should not end until 31 March 2019. The Commissioners had gone to the Public Protector, amongst others. That point would be discussed later. The Committee Secretary recapped the programme of action to date. The first meeting had been held on 24 October 2018 and the second meeting on 31 October 2018. The positions were advertised on 18 November with a closing date of 10 December 2018. From 11 December to 30 December 2018, the applicants had been listed on the parliamentary website for public comments. A few comments had been received. The Committee had asked the South African Police Service (SAPS) to screen the applicants but she had been advised to go to the State Security Agency (SSA). SSA had agreed to screen the candidates and had requested the fingerprints of all candidates. The closing date for the submission of the fingerprint forms was 24 January 2019. All fingerprint forms had to be posted or couriered as SSA required the original fingerprint form. Human Resources Services at Parliament had agreed to verify the qualifications of the applicants but requested that candidates firstly sign a consent form. All candidates had signed and returned the form. The Committee Content Advisor explained that the Committee had received 87 applications. One of the CVs received had not been an application, but was the CV of the person nominating someone else. In addition, there had been one withdrawal. Three CVs had been added due to a delay in the post, and one application had been lost by a courier service and one was late because there had been load shedding at that time. The issues relating to the three applications had been verified as true and the applications had been accepted. The total number of applicants was 88. Mr A Shaik Emam (NFP) asked for clarity on the three applications that were late and what the stipulation was with regard to accepting late applications. Was the Committee going to be accommodating or not? It was something that had to be discussed. Ms G Tseke (ANC) also wanted clarity on the late applications. Ms Newhoudt-Druchen was puzzled. If the Committee had received 87 applications and one was a nomination, then, surely, there were still 87 applications. Ms M Khawula (EFF) spoke in isZulu. Check audio 15:07 minutes. The Committee Secretary explained that there had been 87 CVs up to the closing date. One had subsequently withdrawn. An additional applicant had submitted her CV after the deadline as she had been experiencing load shedding at the time. One application was received in the post after the closing date, but it had been posted on 3 December 2018 and the closing date was 10 December 2018. The last CV had been couriered, but it had not been delivered to the Secretary’s office. The applicant had enquired why his name was not listed on the parliamentary website and had subsequently emailed the waybill. It was dated 7 December 2018. He had forwarded his application. The total number of applications was 88. Mr Emam stated that, to avoid a dispute in the future, he needed further clarity on the rule. Was there any rule in the case of an application not being received by a certain date? What was the rule regarding exceptions, such as late submission, applications without CVs, etc? He did not want the Committee to become engaged in a dispute or to have to contest those things. The Chairperson explained that in the previous Ad Hoc Committee, and even in the earlier meeting of the current Ad Hoc Committee, Members had agreed to accommodate people living in rural areas as long as they had posted the application within the timeframe. If the delay was with the postal services, those applications would be accepted. The couriered application was a similar situation. Sometimes candidates sent the application via email and the email did not go through. Those applicants could not be penalised. All applications that arrived late were subject to the approval of the Committee. Regarding the application that had been delayed by load shedding, the staff had verified the date of load shedding. All reasons were verified and presented to the Committee for approval, which she was doing. She did not want to lock people out. When she had been told the previous week that the SSA wanted original fingerprints, she had been concerned as she was aware that it would be expensive. The staff would have to find a way to help those who could not afford to pay the courier fees. One person in Johannesburg had given her an envelope containing the fingerprints to take with her to Cape Town. It was easy for the people from the Western Cape to get to Parliament, but others could not. She was hoping to receive all fingerprints by the end of the week, but she could not exclude people for not meeting the deadline. She had asked the staff to assist the applicants to submit the fingerprints by 24 January 2019, although they would try to accommodate those who could not meet the deadline. Ms D Robinson (DA) agreed that the Committee should be accommodating but she hoped that the type of applicants applying for the positions could get hold of R 400 for courier services. In future, the requirement of submitting fingerprints should be contained in the advertisement as the Ad Hoc Committee was working under time pressures. Ms Khawula concurred with other Members. There were challenges, especially from rural areas where even getting to a police station was a challenge. The Committee needed to request fingerprints on application. She agreed with the comments made by her colleagues. Mr Shaik Emam stated that it was clear that there were logistical problems, but original fingerprints were essential. Could the Committee not identify one police station in each province to manage the fingerprints and try to help the applicants by arranging for fingerprints to be forwarded to Cape Town from those police stations? The Chairperson indicated that the staff would look into how they could assist each person, on a case-by-case basis, but she agreed that most applicants could probably afford a courier. Applicants had been given until 24 January 2019, but the Secretary would phone applicants and offer assistance. The Content Advisor explained that the first CV was from someone supporting an applicant but the second had withdrawn because she had been employed somewhere else. Ms Khawula corrected the Content Secretary, stating that she should call Members ‘the Honourable’ and not ‘Ma’am’. The elections had not yet been held and so they had not lost their seats. Ms W Newhoudt-Druchen (ANC) noted that, on the last page of the list of candidates, the person did not have an ID number. Did he or she still count? The name was Jafta. What was the deadline for the consent form? Was that deadline also 24 January 2019? The Committee could not disqualify the people for not meeting that deadline. The Chairperson agreed that the Committee would not disqualify anyone. The Committee Secretary informed the Committee that the lack of an ID number was an oversight that would be corrected. Mr Shaik Emam asked about the person nominated by someone else: had all relevant documents, including the CV, been received? Had the CV been received before or after the closing date? The Chairperson explained that the person had been nominated and so the Secretary had called the person and asked her to send in her CV. She reminded Mr Shaik Emam that the advertisement had called for both applications and nominations. The Chairperson asked Adv Herman Tembe to explain to the Committee about the matters raised about the errors in the term of office for existing Commissioners, incorrect letters and the minutes, letters of complaints, etc. She also asked him to clarify the situation in terms of Commissioners whose terms of office were ending, who qualified to apply from the current Commissioners, and what the Act said in that regard. She asked him to explain very clearly so that all Members understood the situation. Adv Herman Tembe, Legal Advisor from the parliamentary Office on Institutions Supporting Democracy (OISD), explained that the Ad Hoc Committee would be looking to fill vacancies for eight Commissioners. The term of office of three of the Commissioners had lapsed in December 2018 and the terms of five Commissioners would lapse in May 2019. Adv Tembe stated that certain outgoing Commissioners had been given the incorrect information about termination dates. One of those was the former Chairperson of the Commission whose original, but incorrect letter of appointment, had stated that her term ended on 31 March 2019. She had written to the President, the Speaker and the Public Protector about the error, which had been addressed. OISD had written to the President’s Office about the incorrect dates, and the DG, Mr Cassius Lubisi, had responded by sending the corrected Presidential Minute and the letter which gave the correct dates of 1 January 2014 to 31 December 2018. In fact, all of the Commissioners had been incorrectly appointed for more than the maximum of five years stipulated by the Act. The DG had corrected the Presidential Minutes for all the Commissioners and had sent the corrected letters. The issue that OISD had to address was that of Ms Lulama Nare who had lodged a complaint with the Public Protector. She had also sent a letter to the President. OISD had responded to the Public Protector and to the President. Adv Tembe explained that section 3(4) of the Gender Equity Act stated that the term of office of a Commissioner should not exceed five years. However, the terms of office of some of the Commissioners had exceeded five years: by two months, seven months, etc. That was what was being disputed. The Act did not say that a term could not be less than five years. The Act gave no minimum period. It was a ceiling of five years. Section 3(7) of the GE Act stated that a Commissioner could serve a second term but no longer. Adv Tembe added that there were some Commissioners who had served two terms in office and were no longer eligible to serve on the Commission. The affected Commissioners were Ms Lulama Nare and Mr Wallace Mgoqi. The Chairperson thanked Adv Tembe. She stated that the Ad Hoc Committee could not appoint people who had already served two terms. Ms Robinson stated that the information clarified matters for her. Commissioners Nare and Mgoqi had already served two terms. Why were they even applying again? They should surely know that they were not eligible. They should be scrapped from the list immediately. Mr Shaik Emam stated that the Act was very clear and so he did not understand why people were applying when they did not qualify. Those applications should have been rejected at the outset. He also wanted clarity as to whether any of the Commissioners had not been there for five years and felt that the Committee was not treating them correctly. He was also concerned about the minutes saying one thing and then being corrected to say something different. The original minutes had said that the terms ended on 31 March 2019 but had been corrected to say 31 December 2018. Ms G Tseke (ANC) agreed with her colleagues. She was surprised that the complaining Commissioners were people who had held high office. Ms Nare had been the Chairperson of the Commission. It was surprising that when one leads, sometimes one wanted people to follow, but when one was supposed to be led, it was something else. They knew exactly when the term of office ended. There had to be records in the CGE. The Committee could not appoint people for whom an additional five years would take them beyond 10 years. They had to be removed from the list. On the list number 53 was Wallace Mgoqi, and number 81 was Lulama Nare who had been the Chairperson. Ms Tseke asked if Commissioner Mathebula’s term had expired or whether she had been in the Commission for only one term. The Content Advisor stated that she would provide a report for the following meeting. Adv Tembe added that he needed to provide clarity as to why the Commissioners who thought they had been short-changed. Ms Nare and Mr Mgoqi had first been appointed to the Commission on 1 June 2012 and the term had ended on 1 June 2014. Those Commissioners thought that if they had not served a full term, it did not count, but section 3(4) of the Act was very clear that five year was the ceiling and gave the President the prerogative to determine a time period less than five years. Adv Tembe added that Ms Nare had resigned in 2013 and was re-appointed from 1 January 2014 until 31 December 2018. That was five years plus the one and a half years of the first term. Mr Mgoqi was re-appointed on 1 June 2014 and his term of office would end on 31 May 2019. He believed that the Commissioners had not considered the short duration as a term. 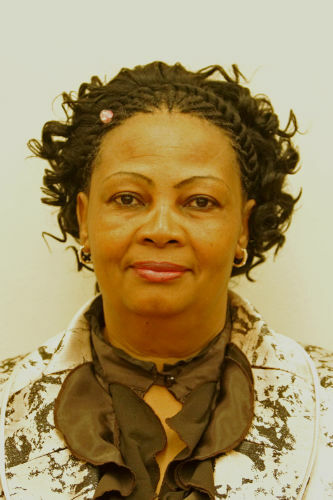 The Chairperson stated that Ms Nare had been appointed as CGE Chairperson after three years [PMG Note: Committee Chairperson mistakenly said two or three months] into her second term, but she could not continue to be Chairperson when her term of office had ended. Ms Nare wanted to count five years from the date of her appointment as the Chairperson. The two Commissioners who had served two years would not be appointed and their names would be removed from the list. All other Commissioners were free to apply but there was no automatic appointment of a serving Commissioner. Dr Maesela suggested that Commissioners would have consulted legal advisors so he suggested that it would be prudent for the Committee to consult legal advisors as the Committee did not want a problem. The Committee did not want to be involved in a legal process. The Chairperson explained that Herman Tembe was an Advocate working for Parliament. He was accompanied by the Head of OISD, Adv Zweni. She also had been concerned, particularly because the Commissioners had written to everyone, including the President and the Public Protector. Mr Shaik Emam stated that the term of office was not an issue. He stated that the Commissioners had resigned and been re-appointed. He asked about the current status quo in respect of the dispute. What did Adv Tembe anticipate would be the problem? Was there a possibility that those people would want to dispute the matter? Ms Robinson said that she was interested in the response by Adv Tembe, but she knew Advs Tembe and Zweni and she was prepared to take their advice. She added that a lot had been happening in the background which had brought the CGE into disrepute and that should also be taken into account. The Committee should ensure that the Commission started afresh and was not disrupted by people just looking for jobs. She believed that all Committee Members wanted to start the new Commission with a clean slate. Ms Khawula wanted clarity. The Committee had identified the two Commissioners who had already served two terms. Sometimes one knew the person but not the name as it was written down. How were members going to identify them when they came for the interviews? Adv Tembe responded to the concerns. The presidential minute and a letter had been sent by the DG of the President’s Office to all the Commissioners where there had been an error in their appointment letters. The former Chairperson, Ms Nare, was currently out of office. Mr Mgoqi was still in the Commission as his term would only lapse on 31 May 2019. As far as Adv Tembe could see, they did not have a legal standing to say that their term was not fully considered by the Committee. Adv Kaya Zweni, Head of the Office for Institutions Supporting Democracy, advised the Committee that in terms of the Gender Equality Act, those two persons were not eligible, and the applicants had to be informed. He had responded to the Public Protector, and the DG in the President’s Office had written to them to explain the error. As far as he was concerned, they did not have a leg to stand on. It had been an error to give a term exceeding 5 years by three months and that had been corrected. His advice was to write and inform the Commissioners that their applications could not be accepted as they did not qualify in terms of the Act. The Chairperson appreciated the advice of the Legal Advisors. She explained that Committee Members had to be very sure that they were acting in accordance with the law. The matter had been exhausted. Dr Maesela said that he should get a report who had served on the Commission and how long each Commissioner had served, etc. Members needed full knowledge so that when they were appointing, the Members knew what was what. When they were sifting through applications and trying to appoint, things might fall through the net. He did not want to see the appointment of people with issues in the new Committee. The Chairperson asked Adv Tembe to make copies of his notes for Members. Ms Newhoudt-Druchen asked for copies of the comments submitted by civil society. The Chairperson explained that Members would get packages containing all the information. The information had not been necessary for the meeting that day. All Members had to read the CVs and all relevant documents before the shortlisting meeting. The interpreters had to read and translate the documents for Ms Khawula so that she would be prepared for the short-listing and nomination processes. The documents would be handed to Members at the end of the meeting. An addendum containing the briefing from the Presidency and details of the number of terms served by Commissioners would be added. Ms Khawula stated that she had a problem because the interpreters were rotated. The Chairperson replied that the interpreters should sort that out with their head as Ms Khawula could not have different interpreters who did not know the contents of the files. The interpreter should be well-informed. The Interpreter confirmed that the interpreters were normally rotated but he promised that he would ask for permission to remain with Ms Khawula until the process was complete. The Chairperson stated that the Committee had done very well in addressing key issues. The following day, Committee Members would discuss the criteria and the short listing. The meeting was starting in the morning, but the Committee had approval from the Speaker’s Office for a closed meeting when SSA would discuss sensitive information. That process had been applied during the appointment process in 2017. The meeting would be opened after that discussion. She added that the Committee Programme would be adapted, if necessary, to accommodate the time taken for the screening of fingerprints. Ms Newhoudt-Druchen asked that the list should be cleaned up and some of the pendings should be removed. The Chairperson agreed to correct it.